For nearly a decade, SAP SuccessFactors and Dell Boomi have teamed up to help organizations streamline human resources processes and improve employee performance. The partnership is more important now than ever in today’s era of workforce transformation. Anchored by its core Employee Central module, SAP SuccessFactors streamlines onboarding and manages the full recruitment-to-retirement lifecycle. With its full suite of HCM applications, SAP SuccessFactors helps organizations boost HR operational efficiency and embrace data-driven workforce analytics. Yet SAP SuccessFactors needs to integrate with other business systems — and that’s where Boomi comes in. Nearly 1,500 joint customers rely on Boomi to integrate SAP SuccessFactors with both cloud and legacy on-premise applications. 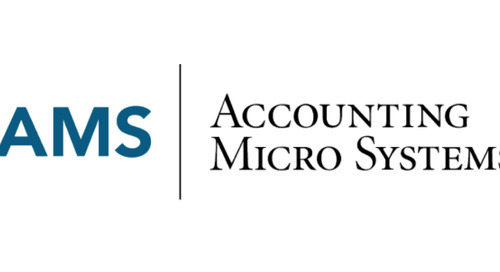 With Boomi's integration platform, Accounting Micro Systems has streamlined operations while improving customer support and expanding the value of its software and services. AnesthesiaOS enables anesthesiologists to provide better care for patients by streamlining back-office workflow through integration by Dell Boomi. SaaS provider uses Boomi to integrate payroll and equity management systems with broker trading platforms, simplifying complex equity plan administration, accounting and reporting. Market-leading ERP vendor builds Boomi into its software suite to help global manufacturers create seamless systems integration and ensure data quality. Organizations turn to Coupa to gain more visibility and control over corporate spend. But that means connecting Coupa with a range of business systems. Boomi provides the answer. Boomi iPaaS fuels rapid growth for Workiva, helping the enterprise software company easily connect new data sources without the costs of hand coding. SaaS vendor reduces time spent on integration work by 50 percent while helping its customers benefit from self-service integration embedded directly into the Handshake platform. Radius by Campus Management turns to the Boomi cloud-native platform for integration and data quality management to help connect campus systems and manage data quality. Assurance Software uses Boomi to easily integrate its software-as-a-service with customer applications, helping streamline and automate its data management processes.